These went so fast, I had to make a second batch 2 days later! 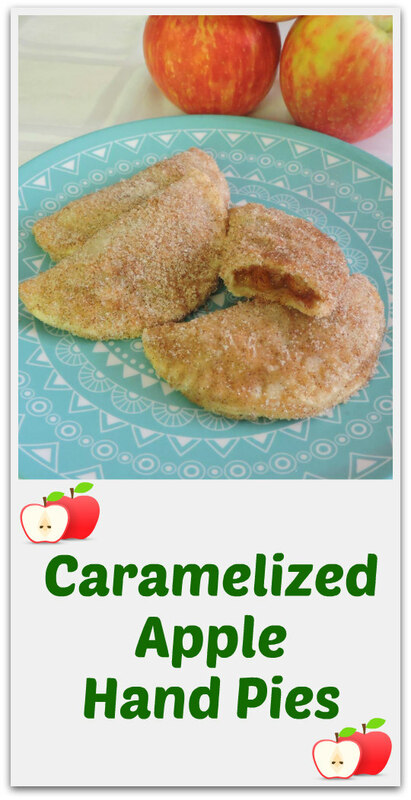 Thank you so much to Edwina G. for sharing her recipe. 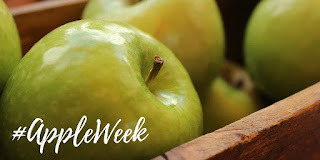 I hope you are enjoying #AppleWeek as much as I am! Don't forget to enter for your chance to win a prize pack from one of the awesome sponsors. The link to the giveaway follows the recipe, and details on the prize packs are here. In a large skillet, heat butter over medium heat. Add apples; cook and stir 5 minutes. Mix brown sugar, cornstarch and cinnamon; add to apples. Cook and stir 7-8 minutes longer or until apples begin to soften and caramelize. Remove from heat; stir in lemon juice and vanilla. Cool completely. Preheat oven to 400°. On a lightly floured surface, unroll pastry sheets. Roll to 1/8-in. thickness; cut four 5-in. circles from each sheet. Place about 3 tablespoons filling on one half of each circle. Moisten pastry edges with water. Fold pastry over filling. Press edges with a fork to seal or, if desired, pinch edges to seal and flute. Transfer to greased baking sheets. Prick tops of pastry with a fork. Bake 20-25 minutes or until golden brown. Remove from pans to wire racks. For topping, mix sugar and cinnamon. Brush pies with melted butter; sprinkle with cinnamon-sugar. Serve warm or at room temperature. If desired, top with ice cream. These sound amazing and I'm sure are much healthier than the deep fried version.